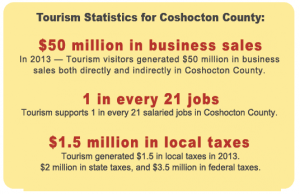 In 2013 – Tourism visitors generated $50 million in business sales both directly and indirectly in Coshocton County. 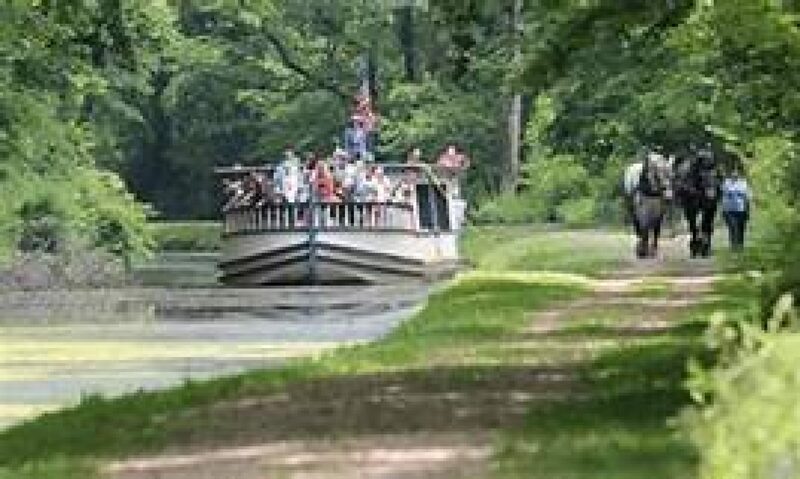 Tourism supports 4.8% of salaried jobs in Coshocton County. Tourism generated $1.5 million in local taxes in 2013 — $2 million in state taxes, and $3 million in federal taxes. 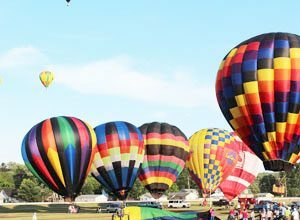 Coshocton County offers a range of activities that will satisfy thrill seekers and those are just wanting to relax and enjoy the great outdoors. 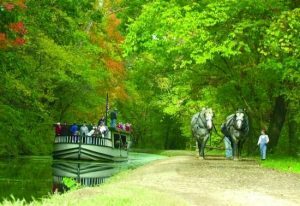 Whether you are looking to hike, bike, geocache, swim, golf, fish or hunt, Coshocton has many activities available for the entire family. 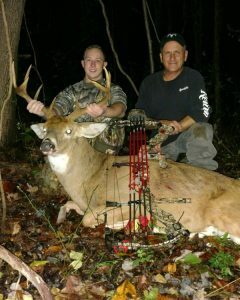 Coshocton is blessed to have the largest amount outdoor recreation land in Ohio. Breathe deeply the smell of the earth, leaves and flowers in our many public wooded hiking areas. You’ll hear a sound you may not be accustomed to—QUIET! This silence will allow you to hear the songs of the birds, the chattering of the chipmunks, and the scurrying of the squirrels. Reconnecting with your family and friends is much easier in the beauty and quiet of nature. 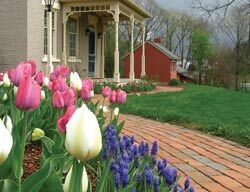 This botanical garden offers 20 acres of rolling hills, woodland trail with sandstone outcroppings, springhouse, ponds, and growing collection of native and exotic plants. A new gazebo and outdoor amphitheater are recent additions to the gardens. Admission to the garden is free.